COLOSSAL UNDERWATER PYRAMIDS DISCOVERED NEAR PORTUGAL—ATLANTIS MISSING LINK? In 2013, a colossal underwater pyramid has been discovered in the Azores islands of Portugal. The structure measures 60 meters in height, with its base being not less than 8,000 square meters, and it was discovered by an amateur sailor by the name of Diocletian Silva. While he was fishing on his yacht in the Atlantic, between the island of São Miguel and Terceira, a strange signal was picked up by the radar that quickly drawn the attention of Mr. Silva. 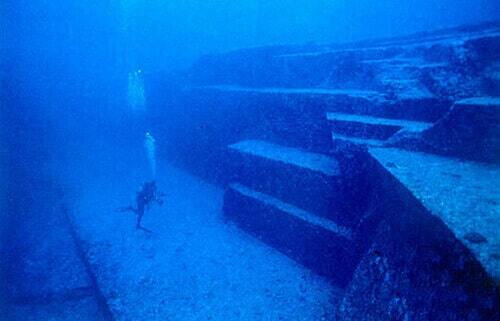 When he verified the underwater signals, a huge structure strongly resembling to a pyramid appeared, with its tip submerged about 40 feet below the water. The pyramid appears to be situated in an area of the Atlantic that has been covered by water about 20,000 years ago. Before that, a civilization distinct from the Portuguese is believed to have inhabited the land, and now researchers believe that this unknown civilization is responsible for building the underwater pyramid. After the discovery, the Portuguese Hydrographic Institute of the Navy tried to determine if the pyramid was man-made, or it occurred as a result of natural phenomenon, and what they found next surprised even the most skeptic of researchers. Other signals coming from massive underwater structures were picked up by researchers in the nearby area, and after they’ve sent divers in for a closer look, two other pyramids were discovered, bigger than the one found in 2013. The underwater formations have about 120 meters in height and a 20,000 square meters base and they appear to be indeed artificial structures. 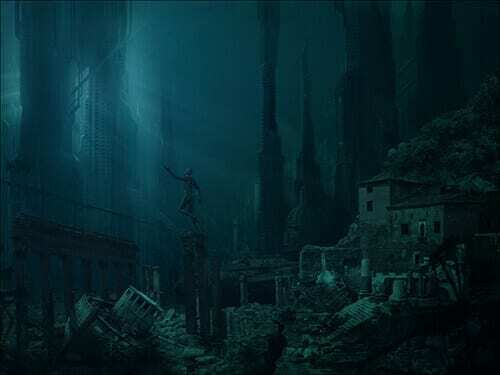 Since the beginning of our written history, legends of an advanced prehistoric civilization known as Atlantis have existed, and while countless people went searching for the mysterious city, they couldn’t agree on where to start looking first. As some believed that Atlantis was somewhere near the Azores, others considered the underwater city to be somewhere in South America, because the many pyramids discovered there were interpreted as undeniable clues of its existence. Another interesting thing to note about this recent underwater pyramid discovery is that it received almost no media cover, except from a few local newspapers and websites. If the colossal pyramids are indeed part of the legendary Atlantis we are yet to find out, but whatever the case, this discovery might rewrite history books, or at least add a new chapter unveiling a former and at the same time advanced civilization that managed fantastic accomplishments in a time when technology was believed to be inexistent.